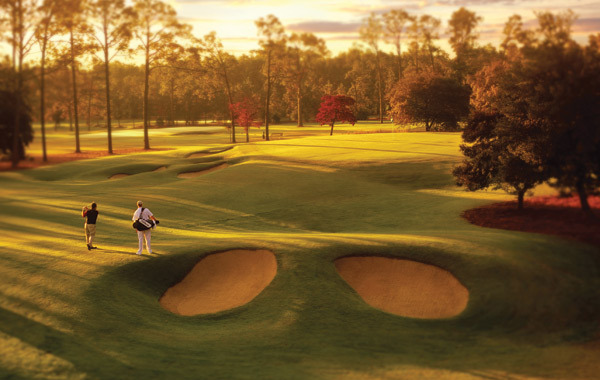 Experience Pinehurst No.7 Course with Golf Tours Abroad. 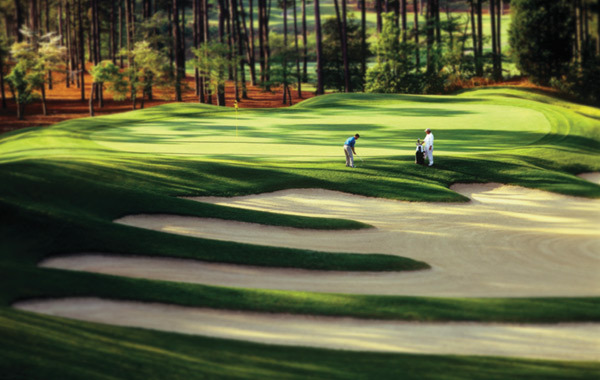 Designed by Rees Jones in 1986, this is one of longest Pinehurst ® golf courses measuring 7216 yards. Pinehurst No. 7 was designed by Rees Jones in 1986 and is located on the site of a forgotten nine-hole employee course that was laid out by Donald Ross. At 7,216 yards, No. 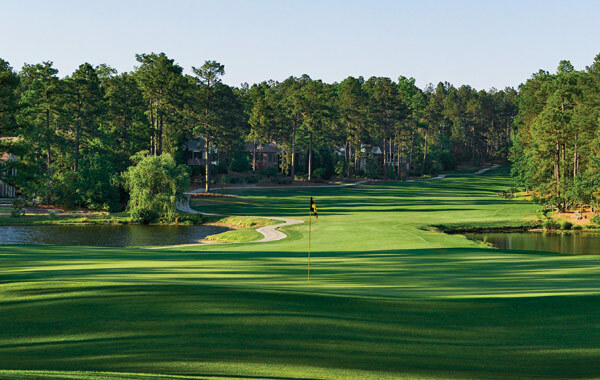 7 is one of Pinehurst’s longest tracks, unfolding over dramatic, hilly terrain that’s dotted with wetlands in lower-lying areas. Elevated tees let you register the challenges that wait and elevated greens demand approaches struck with authority. No. 7 is renowned for its many colourful flourishes of scenery. Old bunkers from the employee course that Jones uncovered during initial routing adorn the tee of the Par-4 4th hole. One of the wetlands area called the “Devil’s Gut,” must be cleared on your approach to the short par-4 7th hole. Also look out for Jones’ trademark “Fingers” bunkers that demand accuracy on hole 16. Pinehurst No. 6 rests a few miles from the center of Pinehurst, and is also a departure from the first five courses in design and temperament. It’s the first Pinehurst effort by Tom Fazio, who began work on No. 6 in 1975 with his uncle George, a famed designer in his own right. The result was a more rugged, undulating track that demands bigger drives and more aggressive approaches. Tom returned in 2005 to carve new bunkers, soften angles and seed faster greens. The addition of native wiregrass throughout the course gives it a distinctive Pinehurst feel. Between the water, bunkers, wetlands and woods, there are plenty of perils on this par-71 track. The back nine is among Pinehurst’s most challenging halves. Pinehurst No. 5 was designed in 1961 by Ellis Maples, a Donald Ross protégé. Maples believed that it was the designer’s job to find the golf course that resided in the land’s structure, and his faithfulness to the land is evident in No. 5’s variety of holes that meander up and down, left and right, and over water. No. 5 has more water hazards than any of the other courses at Pinehurst. The combination of water carries, elevated greens and overall greater yardage favors longer hitters. No. 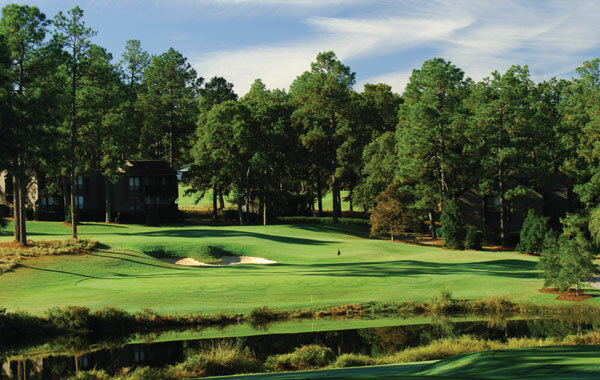 5 offers classic Pinehurst golf—more challenging than Nos. 1 and 3, but less taxing than No. 2. It won’t disappoint. The course closed for renovation by Gil Hanse and is set to reopen in the late Fall of 2018. Just as soon as the course is complete we’ll update the details here.